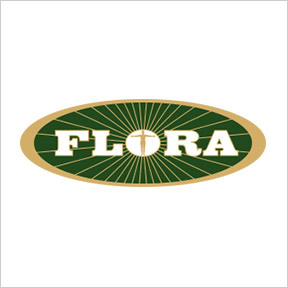 Professional Supplement Center now carries Flora Health, a line of highly respected, premium nutraceuticals manufactured in the USA. Established in 1965, this privately-owned company is known for its high standards in raw material selection, formulation, manufacturing, quality control and ecological awareness. Flora Health works with local farmers to obtain ecologically sustainable supplies of high quality, Non-GMO raw botanical ingredients. All plant materials and finished products must meet intensive specifications for quality, and are tested for physical identification, heavy metals, microbials, and pesticide residue. Their quality intensive formulations include the use of vegetarian capsules, vegetarian sourced raw materials, therapeutic amounts of active ingredients combined with supportive ingredients, preferred value-added fillers, and the use of organic, Non-GMO raw materials. Their top tier manufacturing facility holds numerous prestigious certifications including Kosher Check, Non-GMO Verified Project, U.S. Tru-Label, Program Third-party certification for dietary supplement GMP, Certified Organic producer and Quality Assurance International (QAI). Omega Sport+™: Formulated for sustained energy, performance, and recovery, this omega-3, 6, and 9 oil provides support for foundational health, antioxidant protection, and a healthy inflammatory response. Additional ingredients include a proprietary blend of medium chain triglycerides, turmeric extract and vitamin D. Gluten and soy free, Non-GMO, kosher, vegetarian formulation. Elderberry Crystals: These certified organic Elderberry Crystals provide antioxidant and immune support that is especially helpful during cold and flu season. R aw, all-natural elderberry crystals may be mixed with any beverage for a great tasting immune boost. No additional ingredients. Gluten free, Non-GMO, vegan formulation. 7 Sources™: This 100% plant-based essential fatty acid liquid blend provides seven sources of fatty acids in support of overall wellness and cognitive function. 7 Sources™ is formulated to provide all the foundational essential fats necessary for optimal bodily function. Gluten and soy free, Non-GMO, kosher, vegan formulation. Kinder Love® Children’s Multivitamin: This liquid formula supplies an array of vitamins, key minerals, and mild digestive herbs, as well as a proprietary blend of fruit and vegetable extracts. Naturally flavored with real fruit including grapes, apple, pineapple, apricot, passionfruit and lemon juice. Suitable for children over 4 years of age, teens and young adults. Gluten free, Non-GMO, kosher, vegetarian formulation. Travel Care Probiotic: This travel-friendly, shelf stable supplement provides a clinically proven single strain probiotic shown to reduce incidence of traveler’s and antibiotic-associated gastrointestinal issues, as well as support for gastrointestinal health. Gluten free, Non-GMO, vegetarian formulation.